Today I had a cracking day with Barney the Brewer who is my neighbour and fellow Summerhall resident. He approached me a couple of weeks ago to get some product photography of his fantastic beer. We both agreed that it would be much better to get some shots on location as opposed to using a white background. Wanting to hint at its Summerhall roots we wanted to find a location where there where some of the white tiles that you find about the place and also somewhere I could trundle all my fantastic but very heavy strobe kit to. After taking a while trying to squeeze the lights into tight spaces to get the light right we have managed to get some great shots. Here are a couple of the final results without any postproduction done in Photoshop and some of shots of the shoot setup. 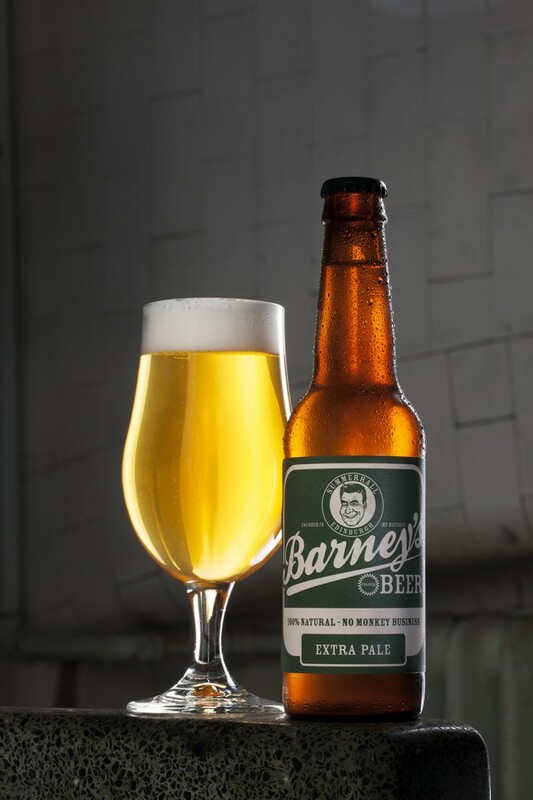 The first shot is of Barney’s new brew extra pale ale which he is launching in a couple of weeks.